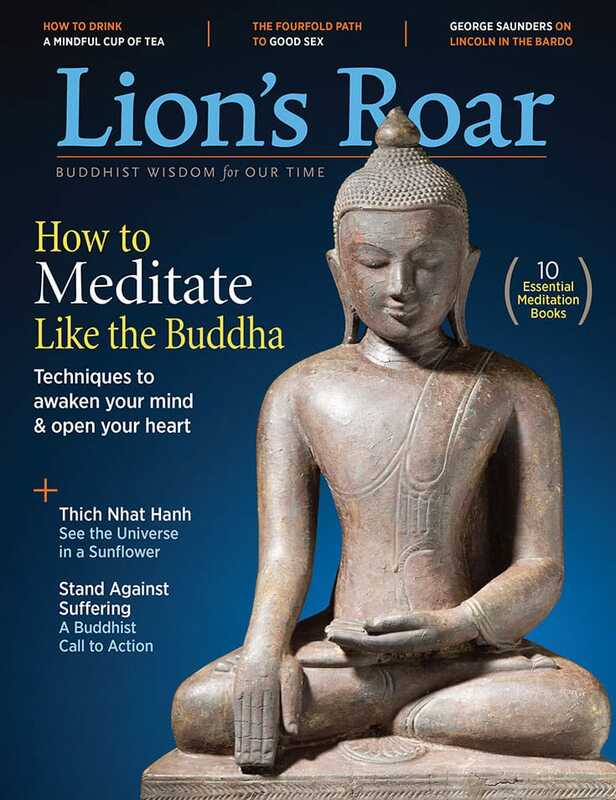 The May 2017 Lion’s Roar magazine features advice from eleven Buddhist teachers on how to meditate like the Buddha, a Buddhist call to action written by thirteen prominent teachers, an inspiring teaching from Thich Nhat Hanh, and much more. 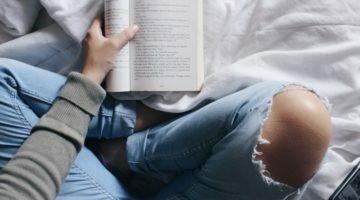 Eleven leading Buddhist teachers answer your questions about how to practice the same techniques the Buddha did to awaken your mind and open your heart. 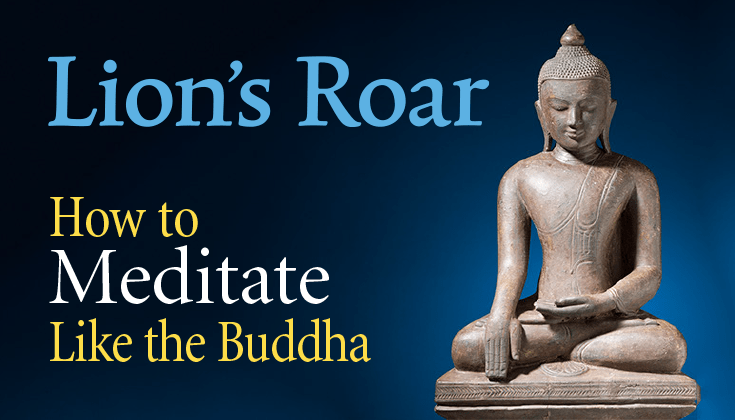 Gaylon Ferguson: What Is Buddhist Meditation? Noah Levine, Joan Sutherland: What’s the Goal? Thich Nhat Hanh: How Do I Practice Mindfulness? Jack Kornfield: How Do I Practice Loving-Kindness? Andrew Holecek: What Obstacles Will I Face? Jules Shuzen Harris: Should I Try to Stop Thinking? 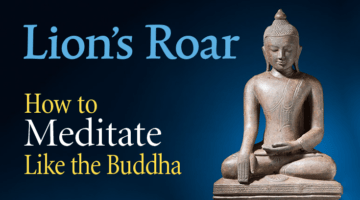 Konin Cardenas: How Do I Know If My Meditation Is Working? Gesshin Greenwood: Will Meditating Change My Life? Lodro Rinzler: What’s the Next Step? Look deeply at a sunflower, says the great Buddhist teacher Thich Nhat Hanh, and you’ll discover the reality of interbeing. We talk to George Saunders about his new novel Lincoln in the Bardo, which blurs the line between the living and the dead. Plus: What’s a Bardo? Lindsay Kyte on the extraordinary life of translator and scholar Thupten Jinpa, whose campaign for compassion bridges modern science and Buddhist tradition. You’ve come to the spiritual path because you have deep questions about life. You’ll find the answers you’re looking for, say Buddhist teachers Judy Lief and Norman Fischer, in the mind that’s asking the question. FAQs: Do Buddhists pray to statues? What is the Dalai Lama’s role? Can I meditate in a chair? 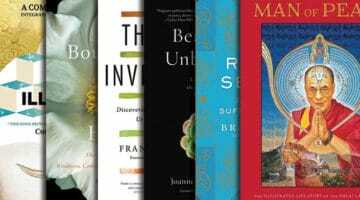 We review a graphic novel about the life of the Dalai Lama, titled Man of Peace, The Mind Illuminated by Culadasa and Matthew Immergut, and more.